Trail Mixed Memories: Everyone is Irish on St. Patrick's Day! While you might not be Irish, on one day of the year, everyone has a free pass to be an honorary one. I am talking of St. Patrick's Day! We see even the most conservative people wear a shamrock or a spot of green somewhere on their person. The traditions accompanied by this holiday vary. 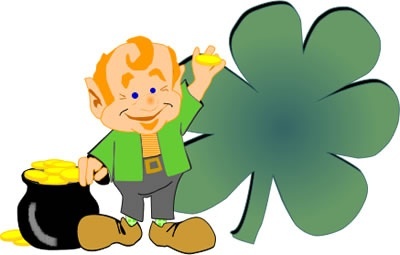 Some watch parades, drink green beer, hunt for rainbows with that elusive pot 'o gold, and some even die their hair red or green in the spirit of that lucky day. 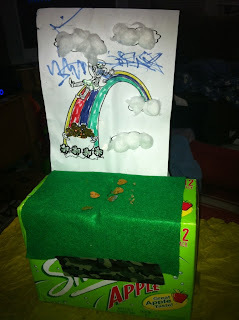 My family, with my young children, enjoy making Leprachaun traps to find out where their gold is hidden. While we haven't found any gold, we have had tricky little buggers reek havoc on my children's belongings. Green toilet water and milk are just a start! They have left golden footprints around my kids table and wrote notes to them, teasing them about not being caught. From the beginning we informed our children that if they want gold, they need to catch the ADULT leprechauns, the young ones only leave chocolate coins to fool us. If we catch an adult in a trap, it has to leave real gold to get out. 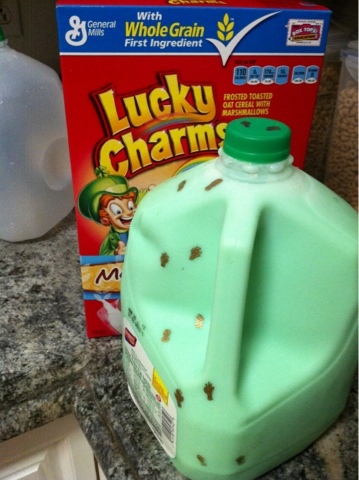 If a young leprechaun is caught, chocolate is enjoyed by all. So while we have yet to catch an adult one, every year, we catch at least one young leprechaun. 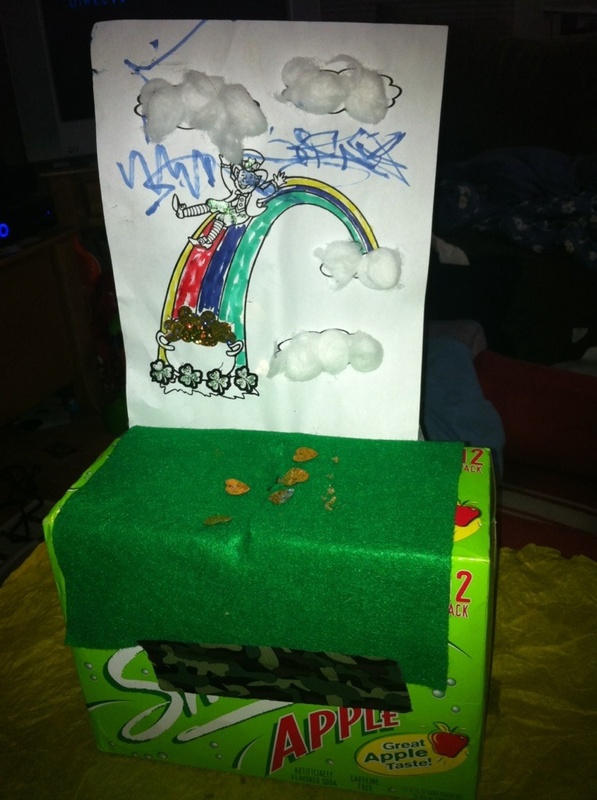 I feel bad for tricking the "young leprechauns" but how else are we to get chocolate coins? 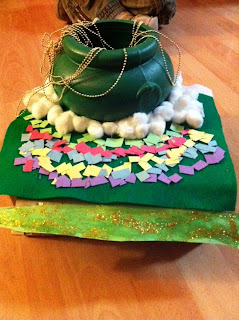 Year round, my children ask when the leprechaun returns. Now that March has begun, we are happily planning our next strategy for catching that elusive creature. Stay tuned to find out if this year is the year!